Monitor costs and profits of your farm in a quick and simple way! Gtp.farm ensures the quality of the product, tracks each stage of the production process, controls the company profitability at any level, prepares the required documentation for the organic farming, schedules agricultural activities in time, organizes rotations and creates the PAC (Common Agricultural Policy) documentation. Gtp.farm is the tool that allows you to do all this and much more and do it in a very simple way. It is a unique product with which you can keep controlling with great ease anything of your business in order to take decisions on the basis of detailed and complete information and stay on the market without being afraid of competitors. At the base of the structure and functioning of Gesag Gtp.farm there are both experience and deep knowledge of agricultural practices, aiming at providing an efficient but simple working tool, suitable for all types of business. Gtp.farm is like a powerful telescope through which you can see all the details of the farm activities, choosing the aspects to analyze in greater depth. The modular structure of the software allows you to decide how to use the product, relying on the incredible flexibility of the system; with a single registration you can enable all analysis and control functions if you like. It was designed to automate and reduce time waste of daily activities like, for example, costs and revenues accounting, module integration and data entry optimization. With this module Gesag Gtp.farm becomes even more powerful, effective and easy to use, also from more complex companies that have a great amount of information to process. 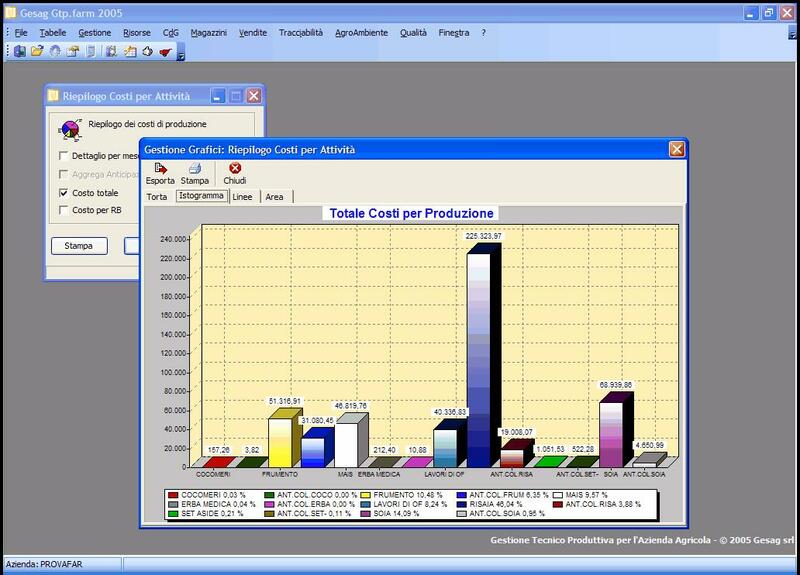 It can also be integrated with our General Accounting Management Software Sigma. This is an assessment tool developed for the purposes of evaluating the profitability of the company in a quite detailed way: budgets, costs and incomes, closing and opening balance and comparison among different business years. 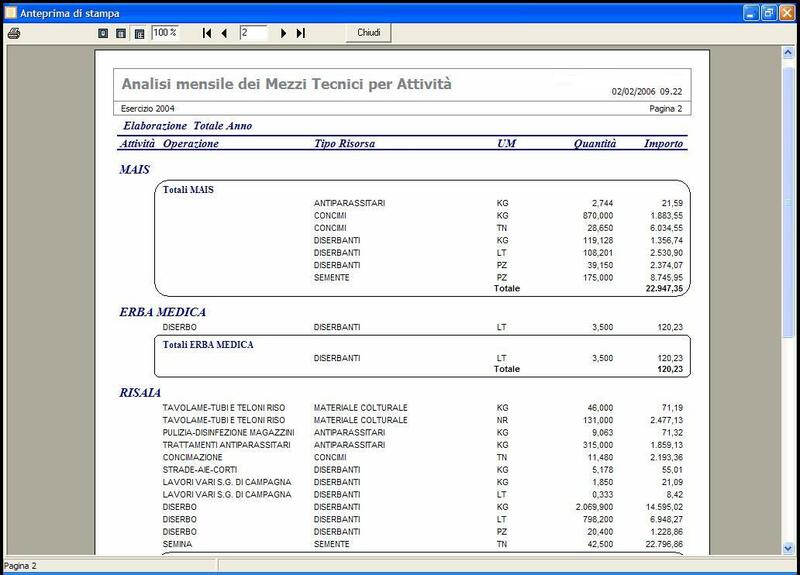 In short, it allows you to evaluate accurately the effects of all technical and financial activities and to generate a wide range of reports. 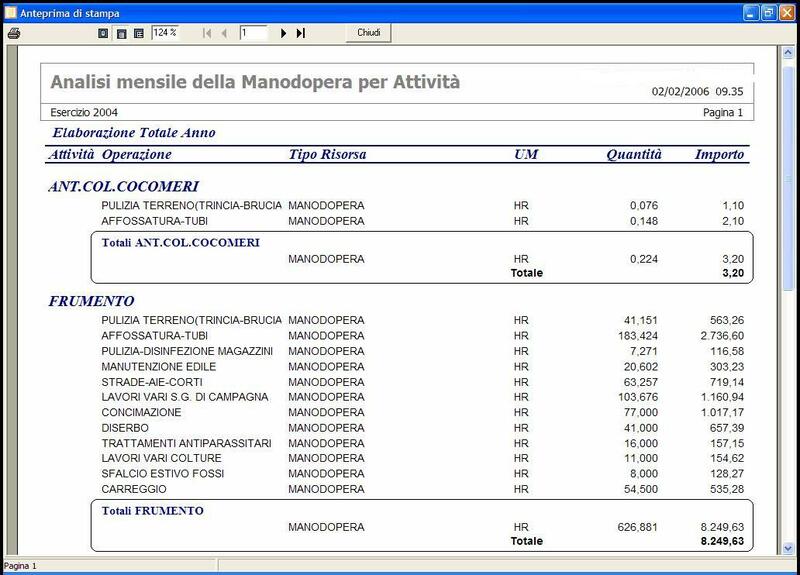 It allows you to manage in a simple and efficient way the warehouse technical equipment , raw materials and products: in any moment you will know exactly their quantity, their value, their movements in the warehouse and you will be able to analyse all warehouse data considering the aspects that are of most importance. 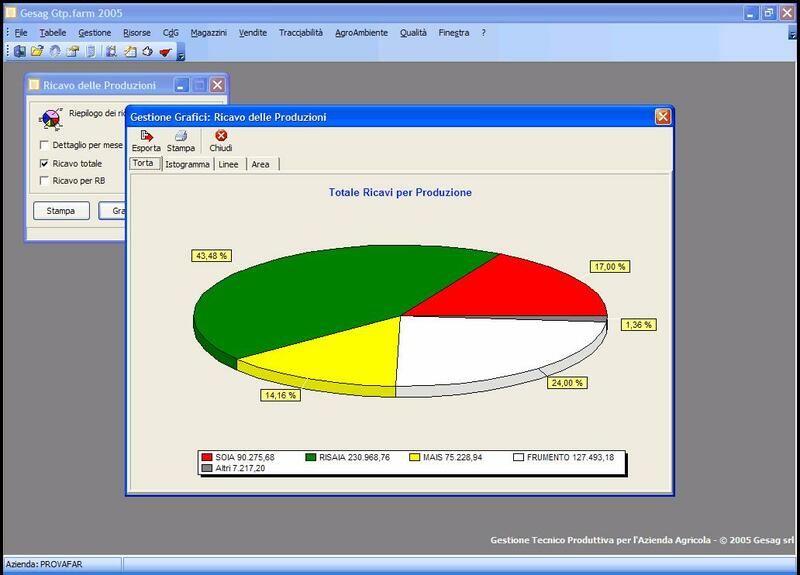 This module allows you to collect and manage data aimed at products and resources quality analysis throughout the different phases of the production cycle. It also allows you to record and examine all operations that have an effect on the quality of the production, even taking into account technical and agricultural interventions on crops and plots. It was designed to manage the entire production process and report all technical information about resources used and products obtained. It helps analyse every aspect of the production process, such as the origin of the supplied materials, the transaction duration and characteristics and the creation of the finished product. Even within this module you can print brief or detailed reports to base your decisions on. It is the perfect tool to manage all activities related to sales, from customer management and agents commissions to freight bills, invoices and payments. The module connects the company to the market and provides the tools necessary to manage all aspects of marketing.